Confirmed with Amex themselves, as well as the special department that handles it. There are no set in stone requirements. 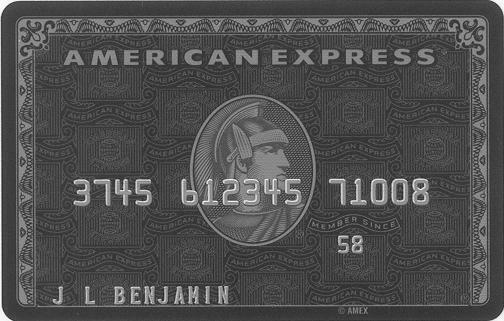 I just received my new centurion card, and I spent $470k last year. I called the Centurion new member phone number once a month after I hit $250k in dollars spent for the year and all they would tell me was there is no invitation on file for you. So it is invitation only. Still is the requirement of a minimum of 250,000 500,000 USD within a 12 month period to qualify ? Thanks. No, it is strictly “by invitation only” now. You cannot request one simply with a 250,000 or even with a 500,000 12-month spend. Good article. I definitely think the Black card is ready to have some market share stolen away. Especially with Centurion making it more and more exclusive! SMDI should definitely benefit from their strategic placement in the exclusive credit card market, could take a group that doesnt get invited to the centurion. As they learn and better cater the rewards their market, it will be easy to expand the membership of this card. I’m looking into buying some SMDI in the next few weeks. Jay Z has this card. Bro. The invitation only for the Centurion American Express is not completely true. When I had a platinum Amex card, and was charging in excess of a million dollars annually, I called the Centurion department and asked if they could give me an invitation. They said yes and took my application over the phone. A couple weeks later, I had the Centurion card. American Express however, is constantly asking for financials, under threat of lowering your estimated limits. They claim their cards have no limit. I have 8 different Amex cards, they all have limits. Perhaps not to the dollar, but all have limits.